Be prepared for unexpected emergencies. In the Diver Stress & Rescue program you will learn how to prevent accidents and how to best deal in situations that may occur. You learn how to prevent, recognize and solve problems on the surface and under water. Improve your safety! Stress is an important factor in rescue situations and diving accidents. Through this course you will learn how to deal with accident prevention and problem situations such as those that occur. This program is about preventing, recognizing and solving problems on the surface and underwater. The SSI Rescue Diver course will extend your knowledge and experience beyond that of recreational diving. You learn to pay attention to yourself, but also to your buddy and you can recognize signs of stress and resolve panic. In short: you know what you really need to do when a diver needs help. The step to a professional diver, but also a very important course for yourself and certainly for your buddy. You can also download our SSI specialty brochure: click here! We work with digital course packages and digital dive certificates that we can provide to you via SSI. Participation requires an account in the ODIN system of SSI. You can create this yourself by clicking on this link. Duration of the course: Approximately two day's depending on the progress of the student. Number of dives: For the SSI SSI Stress & Rescue diver specialty we make three dives. We dive 7 days a week! 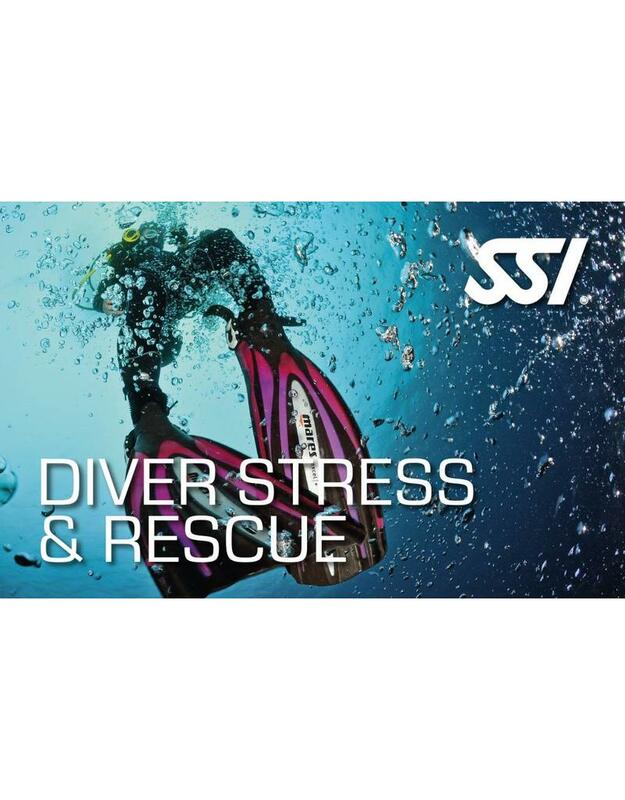 The SSI SSI Stress & Rescue diver specialty course can be followed at our diving school in Vinkeveen and Almere 7 days a week between 09:00 and 23:00 h. Call or email us directly to record your date or book directly online and we will contact you. to make an appointment when it suits you! Diving equipment: During the SSI SSI Stress & Rescue diver specialty course you use Your own diving equipment or You can rent the necessary diving equipment with us!